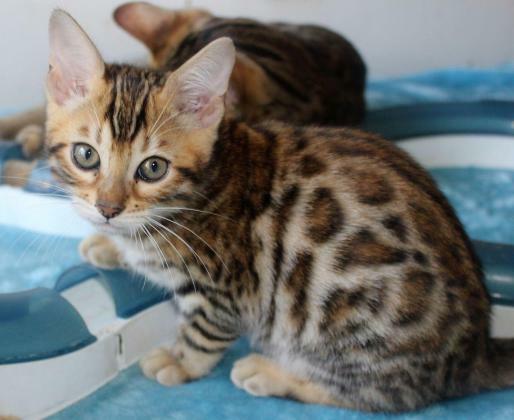 Active and beautiful Bengal kittens available, girls and 1 boy . They are fully weaned litter trained, and wormed to date .They have very loving natures and have been bought up in a family home with dogs and other cats, these kittens are well socialized. These kittens are litter trained. Please email or call for more details and pictures.